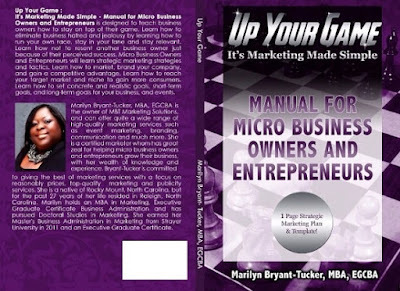 Today we are interviewing Marilyn Bryant-Tucker, author of "Up Your Game: It's Marketing Made Simple - Manual for Micro Business Owners and Entrepreneurs." I am a business owner. 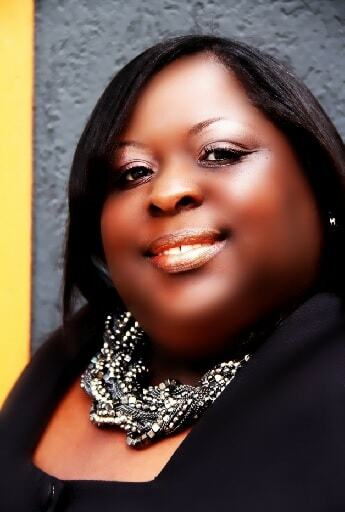 I am the owner of MBT Marketing Solutions. I offer quite a wide range of high-quality marketing services such as event marketing, branding, communication and much more. I am a certified marketer who has great zeal for helping micro and small business owners grow their business. I have wealth of knowledge and experience. I hold an MBA in Marketing, Executive Graduate Certificate Business Administration and has pursued Doctoral Studies in Marketing. I earned my Master's Business Administration in Marketing from Strayer University in 2011 and an Executive Graduate Certificate. This book will help micro business owners and entrepreneurs successfully market their business and help them with what they need to do when jealousy strike in the course of their day to day business operations. And if you are the person that becomes jealous over other business owners success, this book will help inspire you to turn those feelings of jealousy into motivation. Micro Business Owners and Entrepreneurs. What inspired you to write a book that teaches entrepreneurs and business owners strategic marketing and tactics? To many people are starting businesses or event marketing without the expertise, credentials and knowledge. I wanted to provide as much basic information to help them up their game with successful marketing. What are some of the biggest mistakes business owners and entrepreneurs make in their marketing approach? What I have observed over the years is this, business owners don't realize their main focus should be running their own business; too many try to be the jack of all trades and only end up positioning themselves for failure. A big emphasis of your book is on the importance of setting goals. Why is this so important in marketing? You should set goals first for achieving success in everything. A Specific goal has maximum chances of achieving success. With the increased popularity of social media, a lot of business owners and entrepreneurs are wondering if it should be a part of their marketing plan. Do you see social media as a necessary marketing tool? Yes. Social media is the present era of communication when people are using internet and different apps for sharing and viewing information. Every moment millions of people are assessing the net! The book will impact business owners and entrepreneurs conscience in a huge way. The book illustrates business jealousy and how it affects business owners. Readers will empathize with treating other business owners the way they want to be treated. The Essential Guide to Writing a Best-Seller and Marketing your Book! I am not here to preach to people about jealousy, or how to polish your reactions to handling it etc., but we need to discuss a common problem that all of us have experienced at some point in our lives.